Building on our work creating Caribou Digital’s brand identity we created a strong literature system required for the reports commissioned by Caribou Digital's partners. 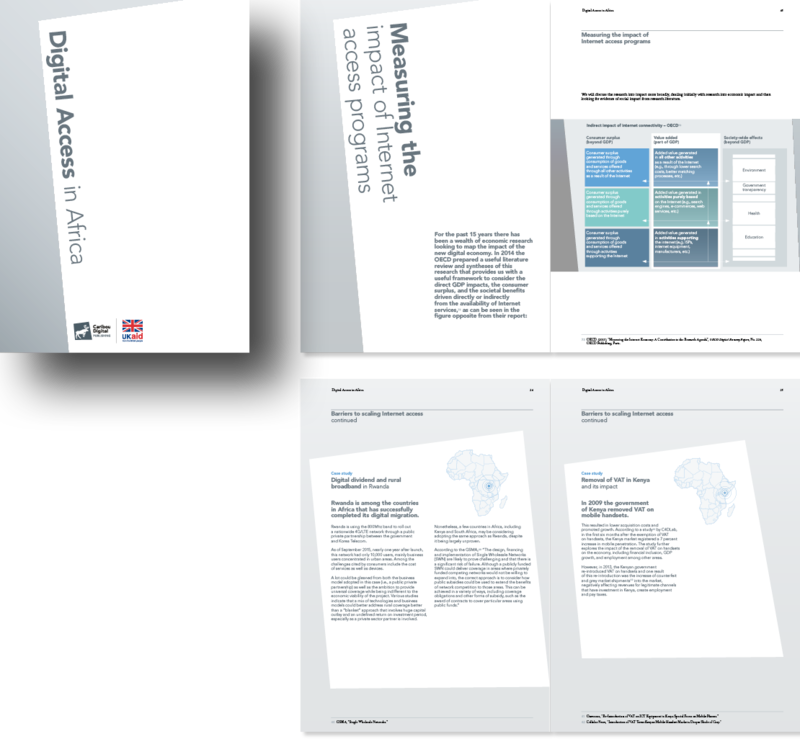 The Digital Access in Africa Report, funded by DFID – specifically looked at a range of policy and private sector issues pertaining to internet access in Africa. 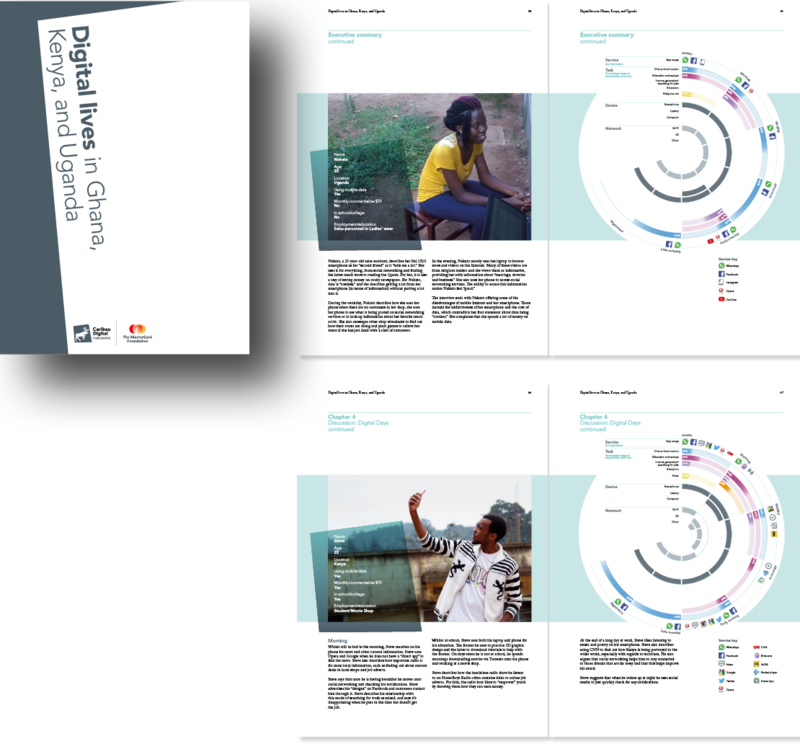 The MasterCard Foundation supported the research on digital lives of low-income people in Sub-Saharan Africa – Ghana, Kenya & Uganda, combining research from focus groups and personal interviews. 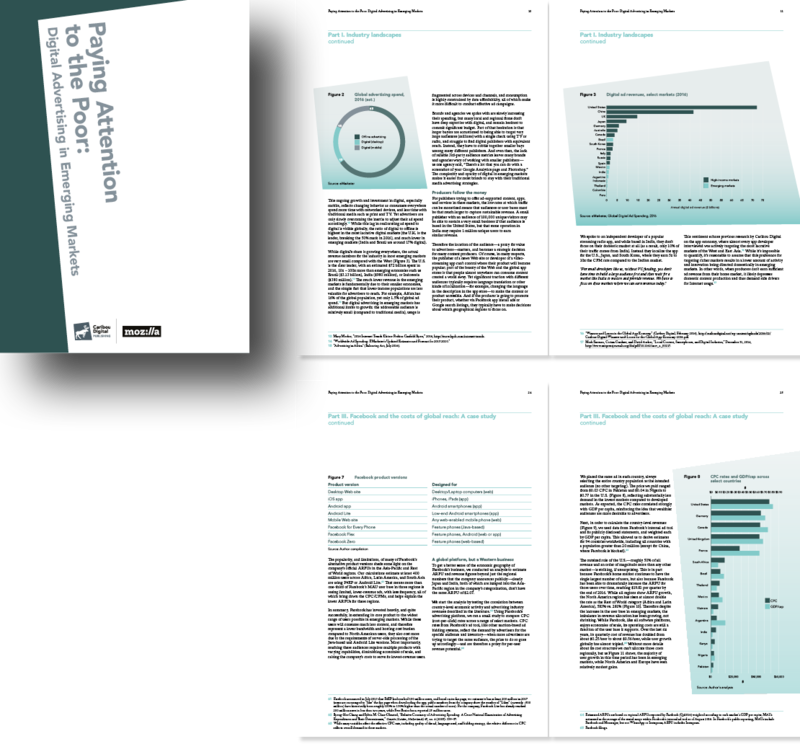 Recent research commissioned by Mozilla explored digital advertising models in the Global South — whether they can succeed, and what that means for users, businesses, and the health of the Internet. 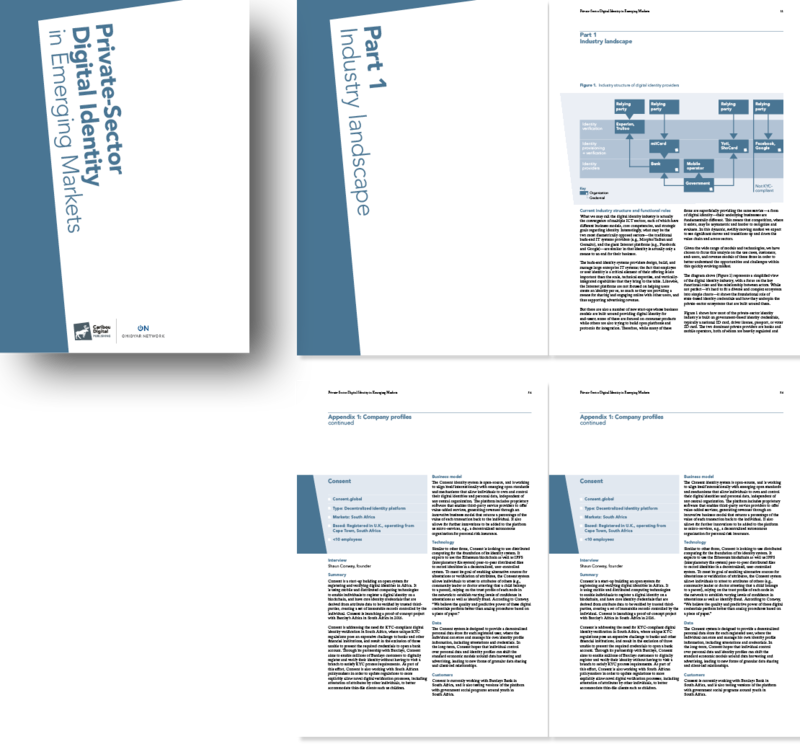 Omidyar Network commissioned this research to evaluate and project future scenarios of the roles and activities of non-state actors involved in digital identity. 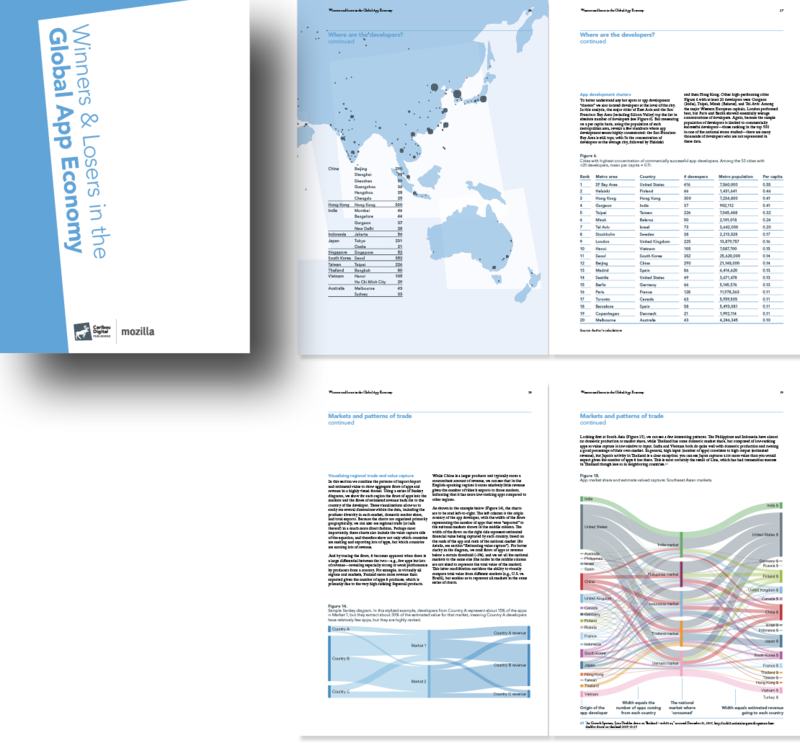 Mozilla supported this research conducted by Caribou Digital exploring the impact of the global-app economy and international trade flows in app stores.